Well done. You’ve created your blog or website. 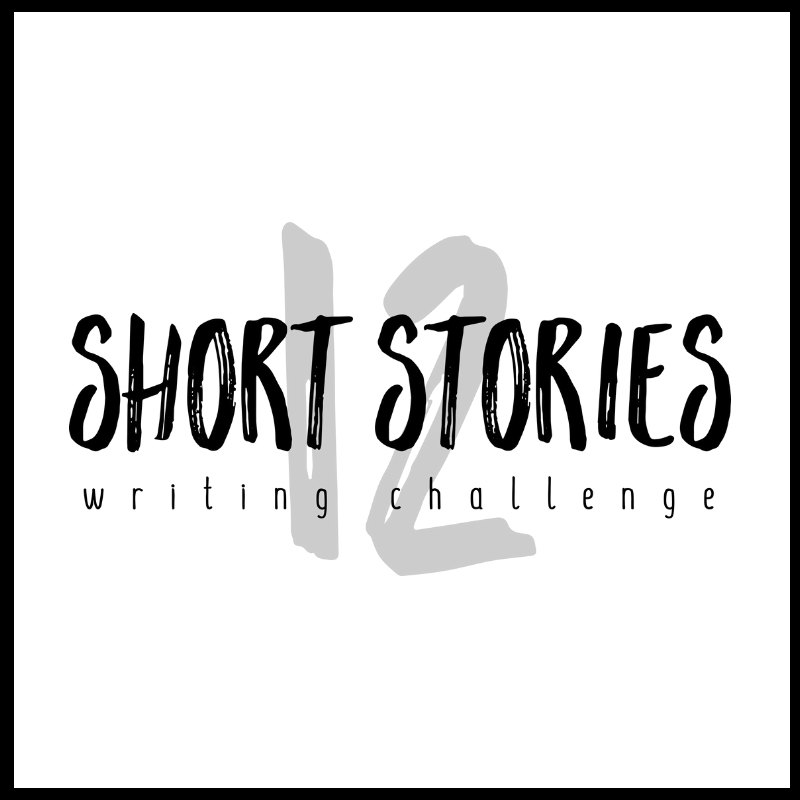 You’ve chosen a fabulous template that suits your blog’s story. Your formatting looks awesome. Your content matches your ‘About Us‘ page. You’ve checked that your links to social media platforms are working. You know that there are millions of blogs and websites out there, so how do you get readers to find you online? But you also need to make it easy for search engines to find you. SEO (Search Engine Optimisation) is important if you want readers to pick up the content on your site. 1. Choose the correct URL. Your URL is also known as your domain name. It is important because it’s the first thing your readers will see or type in when they try to find your site. Think of it as the sign you see when you visit a shop. It is the first place Google inspects to find out what your site does. It also helps the search engine rank it. The ideal URL includes your business name. The ideal business name tells your customer what you do. Our URL is writerswrite. This works for us because it is our business name and it tells readers and Google what we do. Top Tip: Make sure your URL is simple. Do not include odd characters, punctuation, hashtags, or numbers. 2. Add ‘alt text’ to all your images. When you add an image, you will have the option to add something to Alt Text. This is because search engines can’t see the images on your site. To decipher what’s in an image, search engines look for ‘alt text’. Alt Text should be a short written description about each image on your website. Use this feature to describe the image, but also include words that relate to the post or article, or even your website’s business. 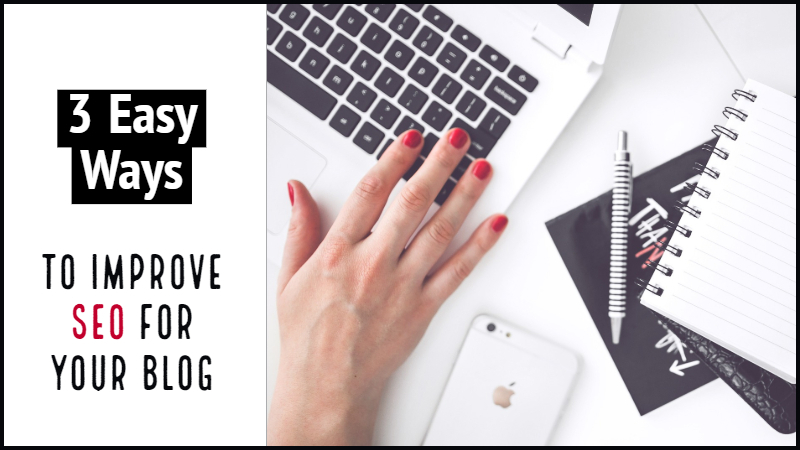 When I added the image for this post, I added ‘3 Easy Ways To Improve SEO For Your Blog’ as alt text. This will help search engines to find out that we write about blogging and SEO. 3. Create great headlines and descriptions for blog posts. You can write great titles and descriptions for every post you publish on your blog or website. These headlines clearly describe the content of your post. The descriptions (indicated by ‘meta description’) reinforce that content. This helps search engines to read and to sort your site’s content. 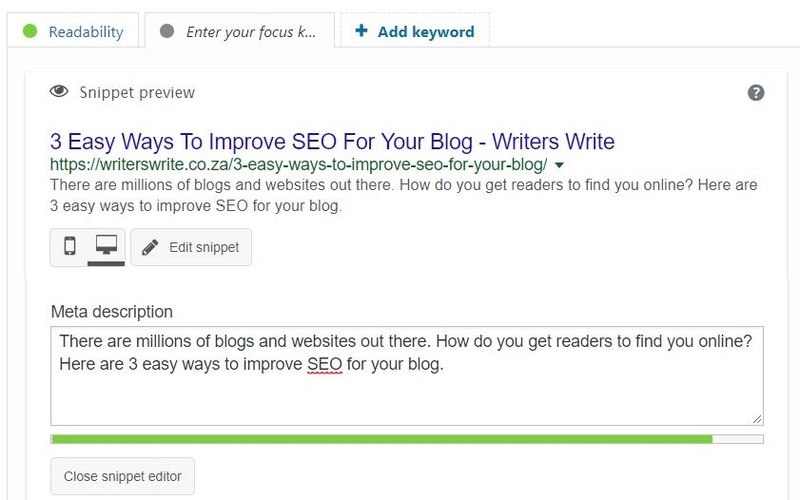 We hope these tips help you to improve search engine results for your blog or website.